Rats eat pretty much anything, and that’s a problem for coral reefs. 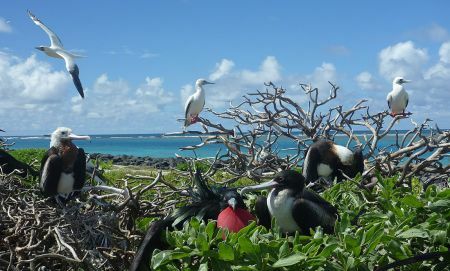 On islands, rats feed on lots of things, including bird eggs, chicks and even adult birds. Now, a new study by researchers from UWA, Lancaster University, ARC Centre of Excellence for Coral Reef Studies and Dalhousie University found that the rats’ appetite for birds spells serious trouble for surrounding coral reefs. But wait, what do rats’ dining habits have to do with coral reefs? To answer this question, the researchers studied a group of remote tropical islands in the central Indian Ocean called the Chagos Islands. Some of these islands were inhabited in the 1800s but not any more, except for black rats, a legacy from their past human occupation. Back in 2015, researchers compared islands infested with rats with islands where no human or rat had ever set foot or claw. 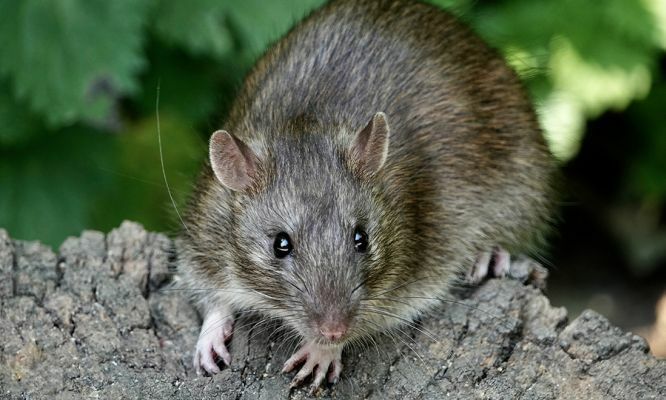 They found clear evidence that rats were bad news for other island life. 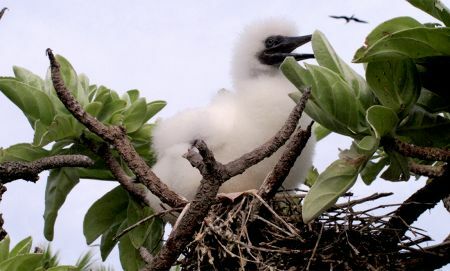 “At Chagos, rats have decimated native bird populations by feeding on eggs and chicks and preventing nesting on some islands, but on islands where there are no rats, there are huge numbers of seabirds,” says Shaun Wilson, co-author of the new study and researcher at the Department of Biodiversity, Conservation and Attractions. It turns out that rats feasting on birds sets off a devastating chain of events. When there are fewer birds around, there is less poop on the soil, which means less nitrogen and other nutrients available on the islands. Some of these nutrients also leach out of the island soils into the sea, where they benefit marine organisms, like macroalgae, filter-feeding sponges, turf algae and fish. “The bird droppings nourish island soils and can be detected in coastal plants. 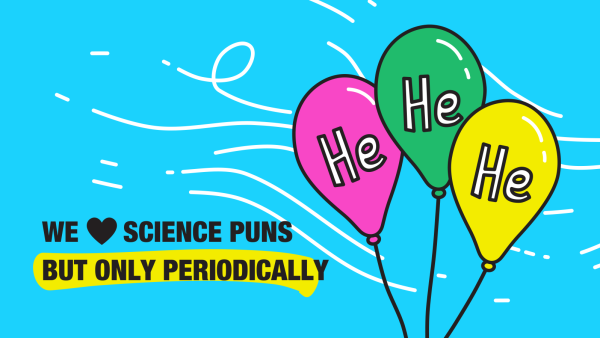 We found that nutrients from bird droppings can also be found in seaweed, sponges and fish on reefs that are adjacent to islands where there are no rats and high bird numbers,” Shaun says. 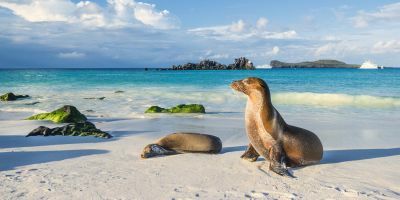 Researchers also found that there are more fish in the waters near islands where there were no rats and lots of birds. Fish have an important job keeping coral reefs healthy and helping them recover from disturbances. For example, some fish eat seaweeds, removing them from the reef and creating space for corals to grow. Others, like parrotfish, remove both seaweed and a chunk of hard reef when they feed. This provides a nice clean surface for new corals to settle. 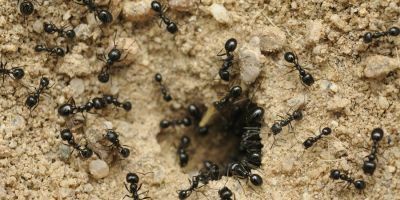 “Introduced pests, like rats, can have a detrimental effect on both the terrestrial and marine environment"
So, fewer rats means more birds, more birds means more fish and more fish means healthier reefs. The findings of this new study provide convincing evidence that rats are not only a pest for us humans but also for birds, fish and coral reefs. “Our research highlights that introduced pests, like rats, can have a detrimental effect on both the terrestrial and marine environment and may compromise the health of coral reefs, which are already threatened by global warming,” says Shaun. “Hence the need to eradicate rats from islands. This has been done successfully in a number of places around the globe and could be extended to islands in the Chagos Archipelago,” he adds. We know the rats need to go, and we hope their days of feasting on bird eggs are numbered. But it’s up to authorities to take action. 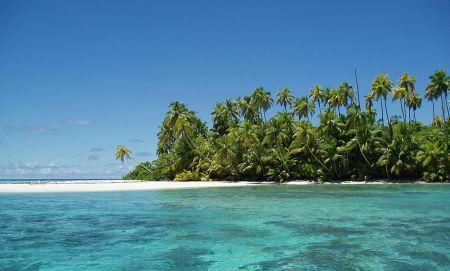 The Chagos Islands are part of the British Indian Ocean Territory, and according to Shaun, there are ongoing efforts to get these rats off the map.